Why is Netflix winning on social media? It’s because they engage with its audience by relating to content and knowing who their audience is. Using phrases such as “Netflix and Chill” and putting themselves in the shoes of their customers. Netflix is success on their social media channels because they follow aa strategy when it comes to their content. New Netflix shows generated 30 percent more mentions on Twitter when compared with new shows on cable television. Netflix posts once/day on Instagram, and less than once/month on Facebook, but it only posts content that is extremely relevant to its audience. Netflix posts more often on Twitter (every three hours), but the Twitter feed, by nature, is much faster at consuming content than other social channels. Every time Netflix launches an important movie or series, it makes sure to engage its followers. The company makes it easy for users to share, like, and comment on posts by addressing them personally. It also follows-up with replies to comments. 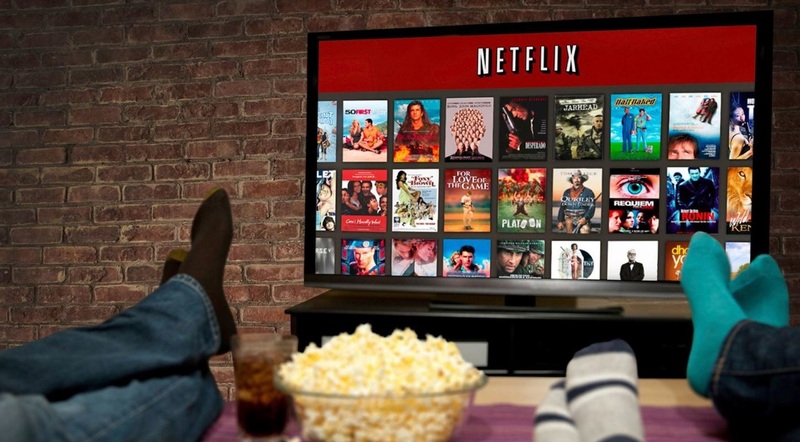 This strategy has helped Netflix increase conversions & engagement levels. 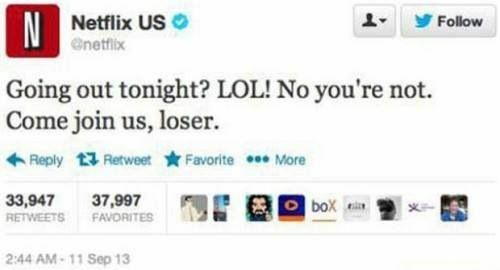 Netflix knows how to market itself through the use of its social media networks. They not only collect information about their customers to suggest certain movies for their customers but they advertise through the use of their own channels but relating to their consumers. They are success because they are constantly engaging with their customers through funny sayings and to answer any concerns they are having. Netflix understands what it means to deliver high customer service and the ability to always stay connected with their users.